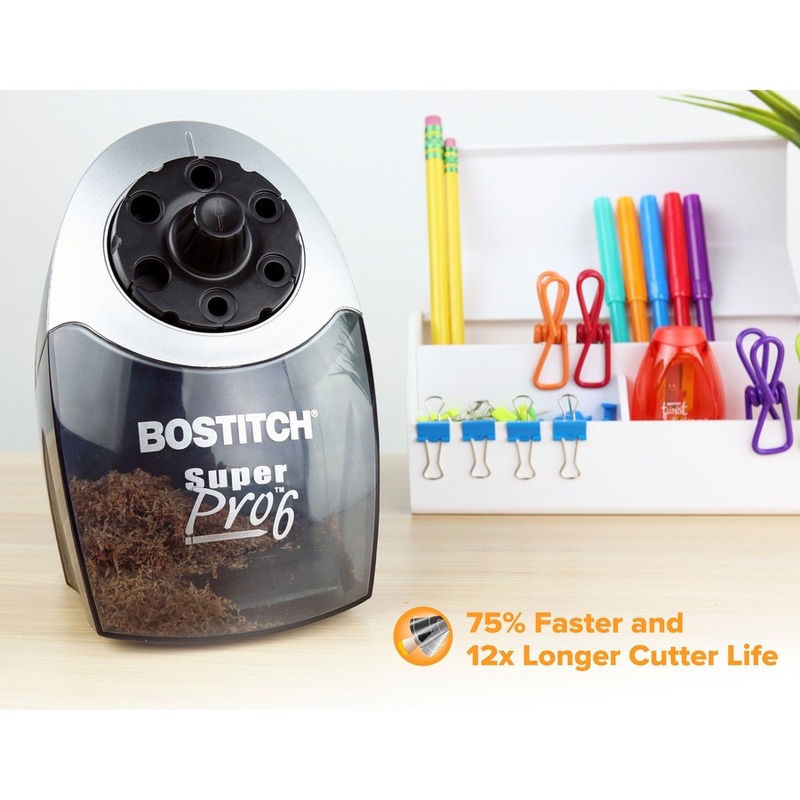 Fast, powerful electric pencil sharpener handles heavy use. 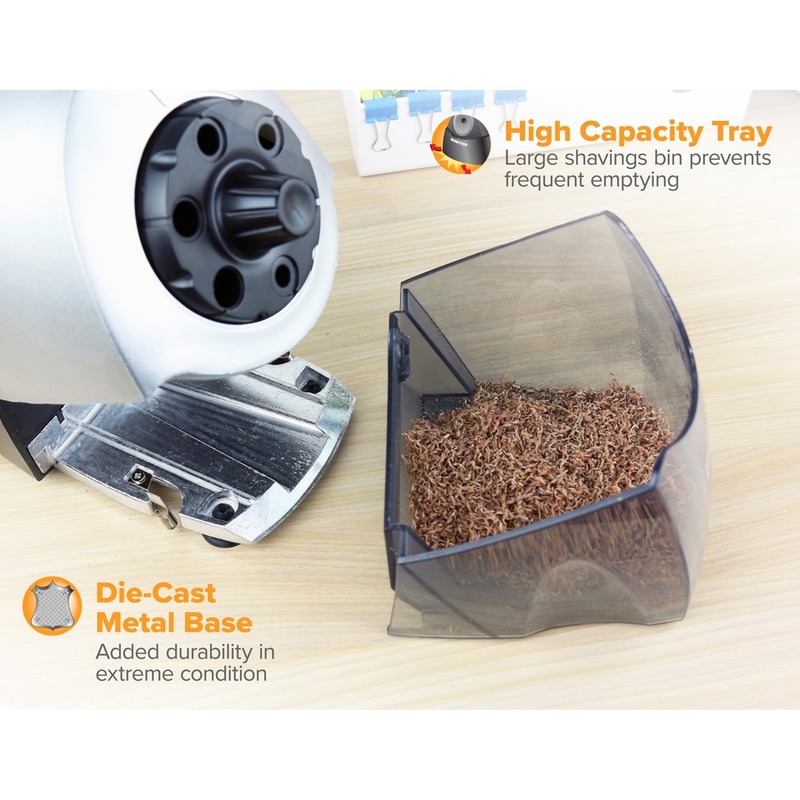 XHC2 cutters on the durable unit offer 75 percent faster sharpening and 12 times longer life. Heavy-duty, QuietSharp fan-cooled motor operates quietly and stall-free under normal use, as thermal overload protection increases motor life. MagnaSafe tamperproof safety switch shuts motor off when the large, easy-to-clean shavings receptacle is removed. Versatile, easy-turn, pencil selector dial provides six different hole sizes to choose from. 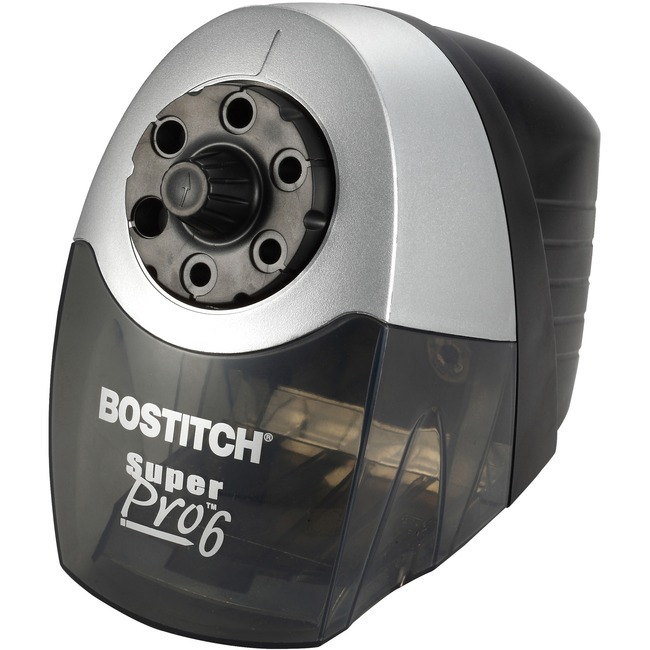 Tip Saver Technology prevents oversharpening and extends pencil life. Oversized, tough die-cast metal base with suction cup feet delivers extra stability.